We are an open play social environment, and safety is our #1 priority. While we adore all dogs, not all are a good fit for an open play setting. To understand your dog’s personality and social abilities, we require that all dogs complete a Meet & Greet prior to attending open play. We schedule Meet & Greet appointments Monday through Saturday in the mornings. We only schedule 3 per day to give your dog enough time to feel comfortable and meet all the dogs at their own pace. We don’t rush this process. Your dog will be hanging out with us for 2-3 hours. And, you can watch your dog from our doggie cams! We will first introduce your dog to our Activities Director, Maebh. 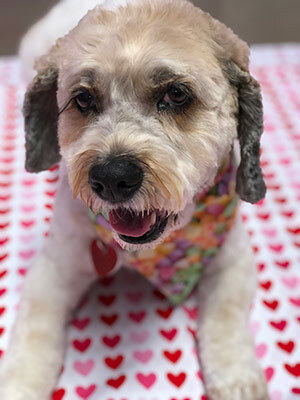 A 12-year-old Cockapoo, Maebh is gentle, inquisitive, respectful of social cues, and sensitive to other dogs’ anxiety. Many dogs will immediately be friendly, playful, or neutral with Maebh. 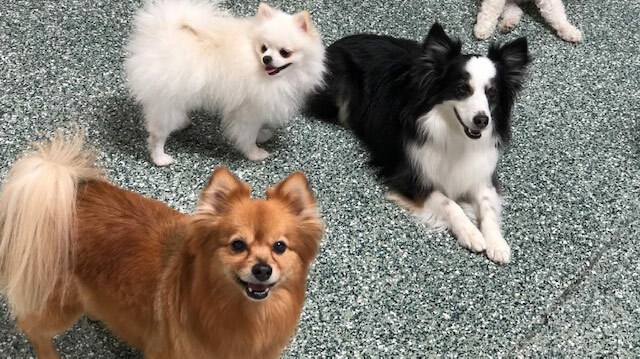 Once your dog feels comfortable with Maebh, they’ll start meeting other dogs from the play group. If the dog does not react well with Maebh, we will then reassess your dog’s social abilities before moving forward. Next, we’ll introduce your dog to the play group slowly and at their speed. We monitor new dogs to ensure they interact accordingly with their environment. This can mean anything from running to exploring and sniffing to intently observing from a “safe” area. A dog who completely shuts down is too stressed to learn to enjoy daycare. Please complete the form below to schedule your Meet & Greet appointment or call us. We look forward to meeting your dog! Error: Error validating access token: Session has expired on Monday, 25-Mar-19 15:37:59 PDT. The current time is Monday, 15-Apr-19 19:07:53 PDT.